Security Machins - test version or missing colour? 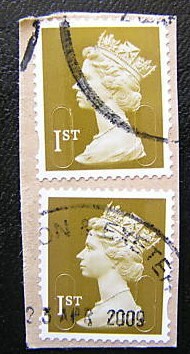 This item was spotted on eBay recently, the 1st class gold with slits but no Royal Mail security overprint. With a postmark of 23 April 2009 it could have come from ordinary counter sheets (issued 17 February) or the early Business Sheets (issued 31 March). The error is a completely missing iridescent overprint covering the whole stamp, this overprint is the Royal Mail in wavy lines which has been completely omitted from these stamps. It's been suggested by somebody who has found some more, that these are "most likely from the DLR coil tests. There are some oddities but given the post mark date 23rd April 2009 they are from tests run by Royal Mail and have slipped through the system.". Mary Quant's going grey ! Black colour fade on Design Classic book 4. Two collectors have reported a very grey print of the black on the Design Classics Booklet 4, featuring the mini-skirt. One report is from the UK and the other from Australia, neither has the cylinder booklet, though from the cylinders used that would only show that the black was light or dry, rather than missing. Remember the words 'Designed by Mary Quant' are silver so not affected by this fault. These two scans were not done at the same time, but the outcome is clear enough. Check yours, and let us know if you have any similar - or worse! And if you have a cylinder booklet it would be good to see a picture of that as well. Adieu Camden High Street! Can we get lower than this? As the trial of Machin Head Horizon labels came to an end (yesterday) we decided to get a cover with the lowest possible value, by pre-stamping the cover with £4.94-worth of Machin adhesives, thus producing the £0.01 label. Spectacular perforation error on Lord Mayor's Pane!! Previously we have reported many errors in Prestige Books involving duplicate panes, most notably on the 2007 Machin Anniversary book, which exists with each of the panes duplicated in different books. But now for something completely different. A collector in Hampshire bought the Treasures of the Archive PSB to prepare his own FDCs and found to his amazement that the Lord Mayor's pane of 4 x 20p stamps - the lowest value pane in the book - was doubly perforated! The effect of the mis-perf is that the vertical perforations are continuous and the stamps are only held in place by the horizontal teeth. It's well known that these are printed in larger press-sheets (of 12-18, we think) so as usual, we'd be interested to know of any others that have been found, so that the finder has some idea of the scarcity of the error. As most people in Britain know, the ½p coin was demonetized on 31 December 1984, but stamps of that value and any others which had ½p in the denomination, such as the 4½p, 19½p, 20½p could continue to be used in combination to make up whole penny postage rates. • All postage stamps issued after decimalisation in 1971, except for the half pence stamp, are still valid and must be accepted. • All half pence values shown on other stamps must be discounted when calculating the postage paid. For example: A thirteen and a half pence stamp has 13p of valid postage. Two thirteen and a half pence stamps have 26p of valid postage. I have been told about Revenue Protection surcharging letters as underpaid because the senders had counted 4½p + 20½p as 25p. 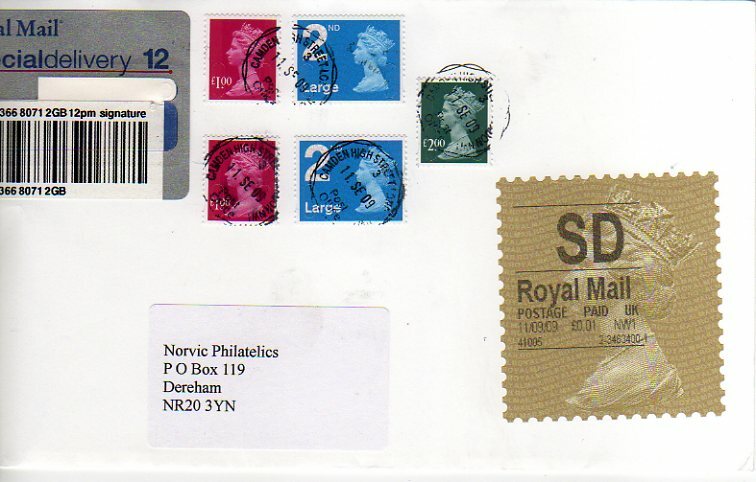 This came as a great surprise to me, because abut 2 years ago I bought a couple of sheets of the 1974 Charity stamp, with a face value of 4½p + 1½p, and I had been using them in multiples on most of my mailings to the Royal Mail Special Handstamp Centres! 6 x 4½p = 27p, 8 x 4½p = 36p, the 2nd class and 1st class rates until April of this year! I had no indication that any of these, to Royal Mail or to customers, had been surcharged and I suspect that none were. Royal Mail have reviewed and changed their acceptance policy on post decimalisation half pence value postage stamps. From Thursday 27 August 2009 if any half pence value stamps are used together on an item, then the total value will apply. However if used singly (or in an odd number when multiple stamps are used) the value must be rounded down. For example: A thirteen and a half pence stamp has 13p of valid postage, two thirteen and a half pence stamps have 27p of valid postage, three thirteen and a half pence stamps have 40p of valid postage and four thirteen and a half pence stamps have 54p of valid postage. Following the withdrawal of the 1/2p coin from legal tender in 1984, Royal Mail had a policy of honouring all stamps tendered which still bear the 1/2p value as long as the total postage affixed was in whole pence. Recently, this policy was reviewed as the amount of such stamps in circulation had dropped to a negligible level after 25 years and after consulting the relevant parts of the business, such as Revenue Protection and RM Philatelic, it was agreed that we would continue to accept stamps with a 1/2p value as long as the total amount attached was a whole penny value, otherwise they would be rounded down to the nearest whole penny value. That's all clear then. Another thing these two statements demonstrate are two different styles of presentation. One is much more 'plain English' than the other, don't you think? 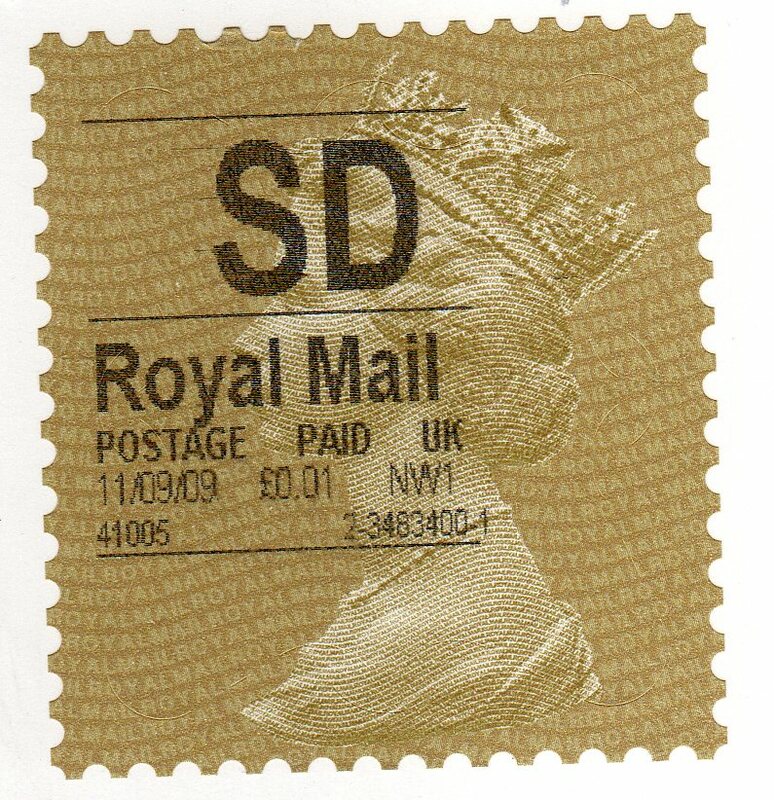 "The Post Office have indicated that the last day of sale of the Horizon Gold Machin Head labels, currently being used at one branch (Camden High Street, London, NW1 ) will be 11th September 2009. No other branches will sell the label or any further extension will occur for the time being. Any further developments may utilise a different label to that used at Camden." 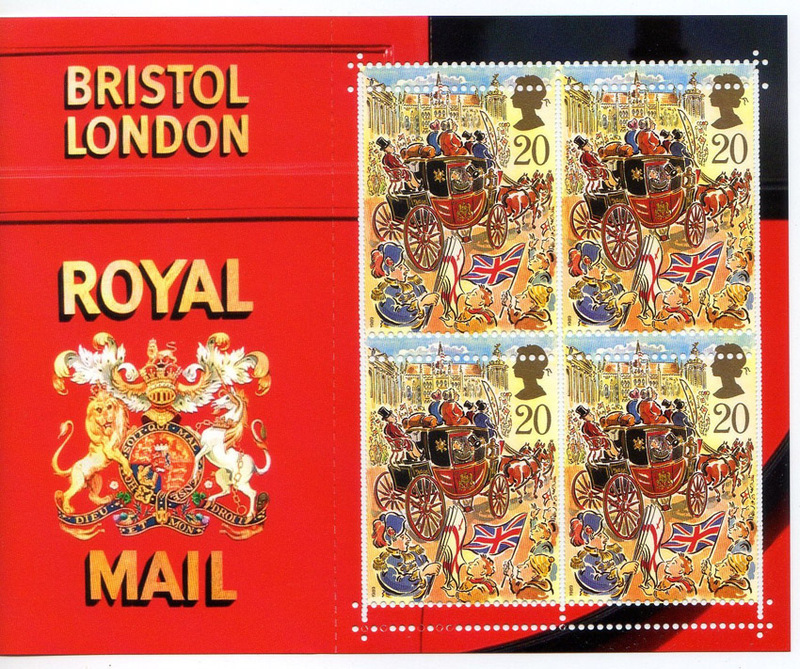 Royal Mail have announced that the Glorious United Kingdom Generic Smiler sheet will be withdrawn on 28 September 2008, one year after issue, but the individual country sheets will remain on sale. Readers are reminded that the country sheets contain stamps with normal perforations while the UK sheet has elliptical perforations, making them different stamps.